I offer a variety of calligraphy and design services to both private clients and businesses. I can tailor services to suit your requirements. I offer bespoke calligraphy and lettering services for use in editorial, merchandise and company branding. I also create bespoke stationery for events, weddings and special occasions. Scroll down toget some ideas of what's possible or get in touch to find out more. I create custom hand-lettered murals that I paint directly onto your walls for a hand made and bespoke feel. I can also provide artwork for creating vinyl signs that can provide more flexibility. I teach modern calligraphy workshops in south Wales and Bristol. You can find upcoming workshop dates and ticket information on my workshops page. I also offer events services tailored to your requirements. From live calligraphy demonstrations, creative personalisation at product launches, to a bespoke workshop for team events. Get in touch to find out more. Your wedding is special to you and those you choose to share it with. Whatever your story and whatever your style. Together we can create wedding stationery that is uniquely yours. “We request the pleasure…” “We’re getting hitched! !...” There are so many ways to say please join us. Use custom calligraphy and say it in a way that’s totally you. Send these early and make sure as many of your friends and family as possible can be with you to celebrate your big day. At the same time, give them a sneak preview of what’s to come. 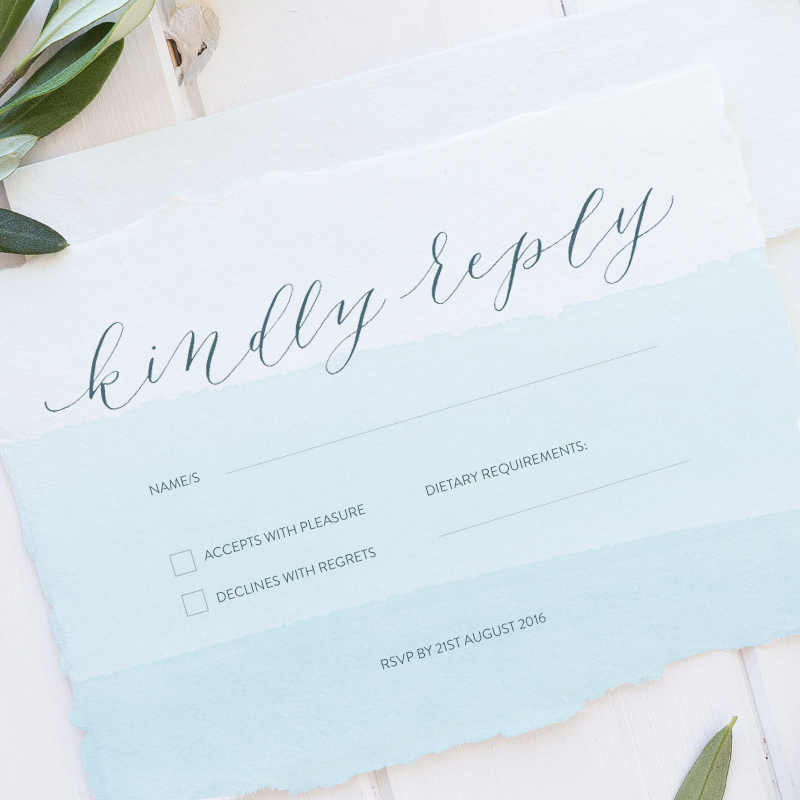 Designed to match your save the date cards and wedding invitations, RSVP cards are a special touch your guests will appreciate. Help your envelope land on the mat with a splash. 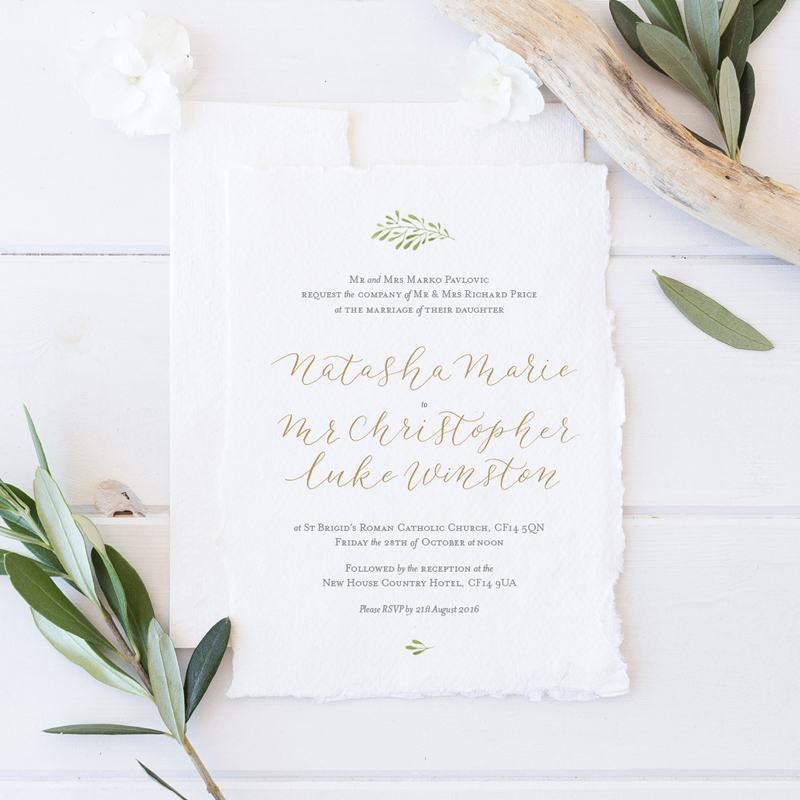 Gorgeous calligraphy and your choice of ink set the scene for what’s to come on your special day. Personalised envelope liners are also available to add the perfect finishing touch. Eat, drink and be merry! Menus that reflect the style of your day help maintain the sense of occasion any wedding celebration deserves. Gorgeous hand-written place cards in the lettering and ink you choose. A personal touch and a lovely memento for your guests. Say it your way. A dash of your wedding style or a beautiful moment from the day will help you say thank you with meaning. Table names, table plans, blackboard illustrations, this way for dancing… Beautiful, personal signs and drawings set the scene and help your guests feel welcome. Significant words from your day, beautifully presented. Perhaps part of your wedding vows or lyrics from your first dance. Whichever, they’ll help keep your memories alive or make a thoughtful gift.